Our very own Gift Vouchers for any special occasion, whether it be for Christmas, Birthday or for a friend/relative who has given birth. 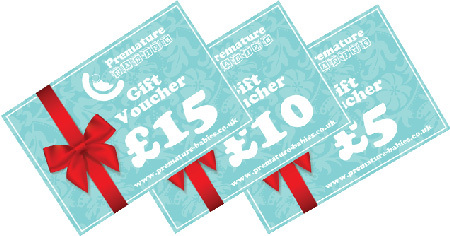 Choose between £5, £10 or £15 Voucher. This is a digital copy of the voucher, which will be emailed to you, for you to print out and give as a gift. T&C Apply.